Following the news of Mike Tindall's retirement from rugby, an announcement that means all 31 of the 2003 World Cup-winning squad have now hung up their boots, tributes have poured in for him on Twitter. 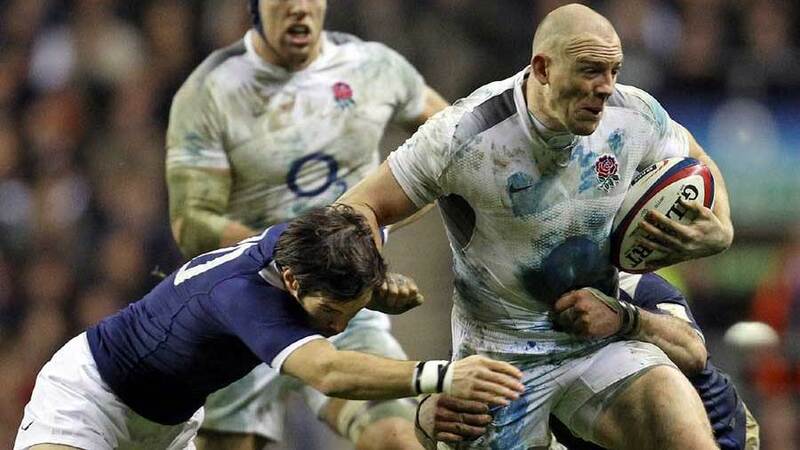 Lord Splatnose @miketindall13 has handed in his gumshield. What an unbelievable player he has been. Absolute dog, and the best bloke about. One thing I can tell you is that life was never dull with the legendary @miketindall13 - what a pleasure to play with the great man. @miketindall13 congratulations on a great effort mate. Last one standing. Good luck with the next step. I want to give you a final thought on @miketindall13 - if I had to play one game winner takes all - last game ever - I want him next to me. Sad to see @miketindall13 retire, a good mate and a great player, Lord it was a pleasure playing with and against you! Enjoy the next step!